Music by Skyforger, directed by Inga Tropa, stage design by Uģis Bērziņš, choreography by Guntis Spridzāns, produced by Story Hub SIA. 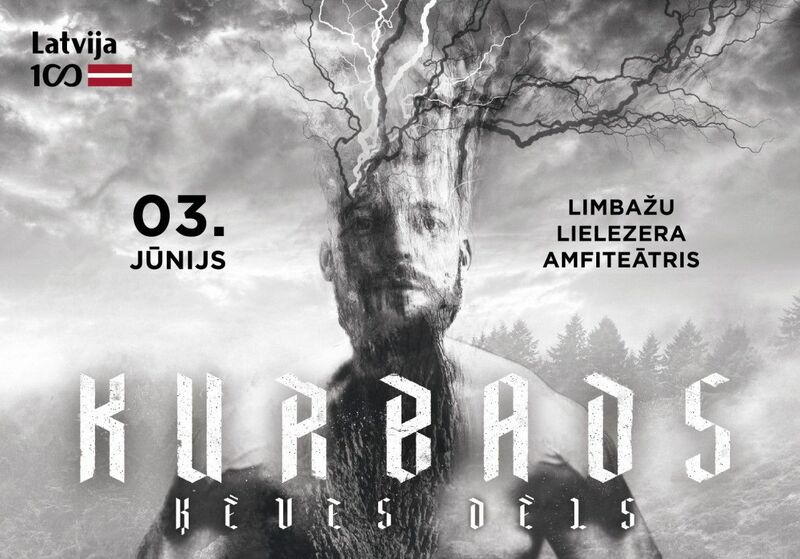 The heavy metal opera tells the story of the legendary Latvian folk hero Kurbads. Tales about will, individual advancement, initiation and fight against demons imagined and real all intertwine in this beloved folk tale, which remains relevant to this day. KURBADS. SON OF THE MARE is a modern day interpretation of the tale, employing the elements of nature, such as water and fire, along modern stage technologies, bringing you the most spectacular stage show this summer! 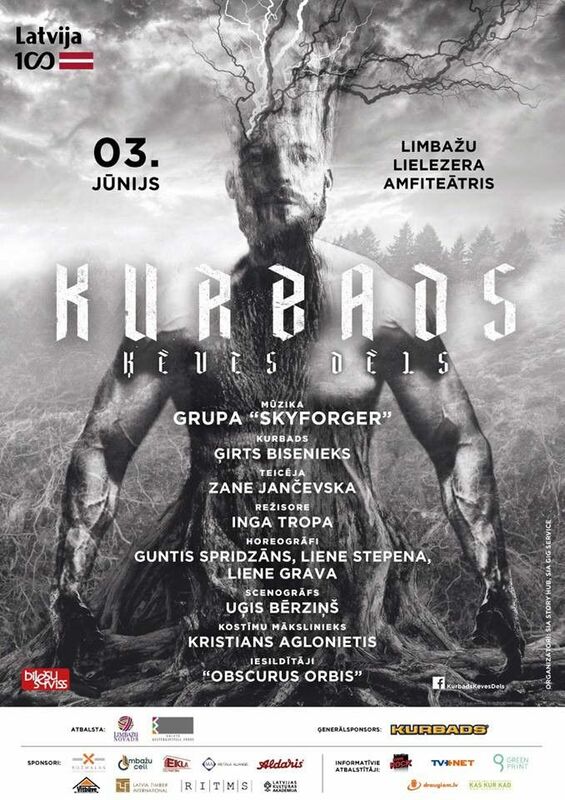 Peter, the vocalist of Skyforger, tells: - The epic tale of Kurbads is a true national treasure, dating back to the days of our Proto-Indoeuropean ancestors. People don't tell these tales anymore, there are few who read them, so it's up to us to cherish and preserve this heritage. These considerations pushed us to write the Kurbads LP and that is why we were happy to go along with the idea of turning it into a stage show, bringing the story of Kurbads to more people. This is going to be the biggest stage show in the 22 years of Skyforger, as we are joined on stage by dozens of actors, dancers and stunt performers. Inga Tropa, the director of the show, adds: - Kurbads is the authentic Latvian superhero. He doesn't stop after his first success or victory, he persists fearlessly in his battles and struggles of self realisation. Kurbads encourages us towards constant progress, as we face foes that are external, as well as our own internal demons – the Nine-headed ones, the serpents of vengeance, the black riders, the ghosts of unknown, and the phantoms of denial. The show is part of a series of events celebrating the centenary of Latvia's independence. It is supported by Limbaži Municipality, the Culture Capital Foundation of Latvia, Radio SWH Rock, Tvnet.lv and Draugiem.lv.